I’m guessing that even if you wanted to watched the Home Run Derby last night, you may not even know that Minnesota Twins’ first baseman Justin Morneau won. That’s because Morneau wasn’t the main story. He wasn’t even a story. The night belonged to Josh Hamilton and rightfully so. Unfortunately for Hamilton, his historic first round performance did not result in a Home Run Derby victory. 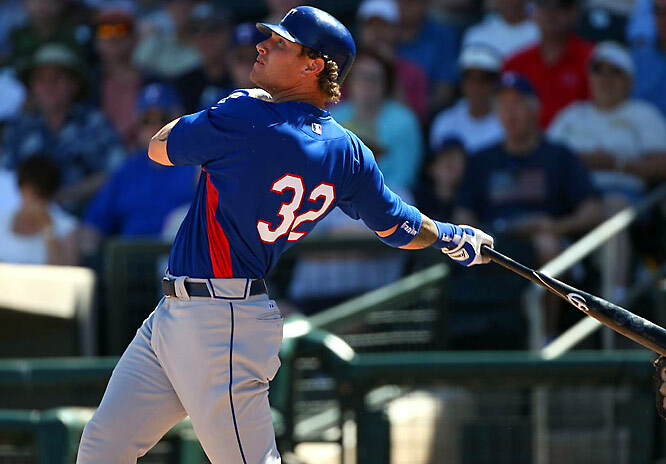 The Texas Rangers’ outfielder hit a record 28 home runs in the first round and didn’t even have to hit in the second round since he had already clinched a spot in the finals (he took a couple of hacks anyways though). The finals didn’t go so well for Hamilton as he smashed just three home runs and lost to Justin Morneau who hit five homers in the final round. In the end though, Hamilton walked away with something much more important than the trophy: He walked away with the respect and admiration of everyone watching. Hamilton was selected first overall by the Tampa Bay Rays in the 1999 MLB Draft and was the Rays’ top prospect until he became addicted to drugs and alcohol. He lost years of his life to his addiction. He didn’t play baseball and his major league baseball career, all of that potential, seemed to have come to an end. He didn’t even workout, because he spent so much time using needles. Yet, in a harsh confrontation with his grandmother, Hamilton finally came to realize his problem. He turned to God, faith, and Christianity to change his life. All of a sudden, Hamilton was back on the rise. He straightened his life out. He hung out with better people and stayed away from drugs at all costs. Even today, Hamilton brings someone with him wherever he goes, because he doesn’t trust himself. The Cubs selected Hamilton in the 2006 Rule 5 Draft, but quickly traded the 2008 All Star to the Cincinnati Reds for a $100,000. The Reds liked Hamilton, but like everyone else in baseball, they were unsure if he was going to be able to stay clean and if was going to regain his baseball skill. Yet, their worries were quickly relieved when Hamilton hit over .400 in Spring Training and made Cincinnati’s 2007 opening day roster. In his rookie season, Hamilton hit 19 homers, drove in 47 runs, and hit .292. Now it is 2008 and Hamilton is on the Texas Rangers. He is the starting center fielder for the American League and has finally made a name for himself, but most importantly he is helping others through his story. He frequently visits youth groups and talks to kids who are in similar situations to the situation he faced. Though embarassed with his previous conduct, Hamilton is not afraid to tell his story and warn other kids of the dangers of drugs. MLB should be and is proud to have Josh Hamilton. He is a role model for kids across the country and I doubt there is a single person who was rooting against Hamilton last night. His 28 home runs in the first round of the Home Run Derby was a MLB record and he left the crowd chanting his name. Morneau may have won the Derby, but it was Hamilton who everyone was talking about afterwards. If people didn’t know his story before last night’s event, they sure know it now and it will be passed from fan to fan, parent to kid, and person to person for many years. When I hear people thank God, I normally roll my eyes and think it is a fake appeal for respect. When Hamilton thanked God in an interview with FOX after the Home Run Derby, I and everyone else watching knew it was sincere. ‹ PreviousDid Brand Betray The Clippers? Next ›Oh What A Game! Who ever didn’t like Hamilton’s performance last night should be shot. And although I would have rather seen Hamilton’s 28 homers in the 2008 HR durby at Busch stadium. It was still nice to see his 28 homers at Yankees stadium (a close second).